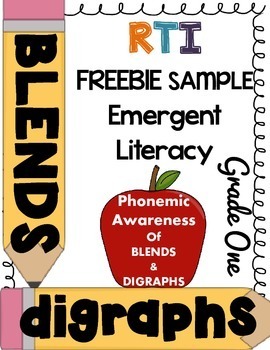 This is a 31 page SAMPLE packet which uses a systematic way of teaching blends, digraphs and trigraphs. The full packet is 125 pages. Only spend about five to ten minutes a day on this. It’s an intensive phonics intervention packet that will help beginning readers or poor readers in need of training. Pictures are purposely left out so students can focus on the letter sounds. Students should know more or less the letter names and the sounds the letters stand for at this point.